The dream of most Indian as well as Philippine nurses is to go to the United States and work there. There are several reasons for nurses to nurture this ambition right from their college days. The dream of these young nurses will only become reality when they take the right steps. Here, the various steps that need to be taken by foreign, mainly the Indian and Philippine nurses to go abroad are listed. a. You should have graduated from an accredited institute in your country of origin. b. You should hold a valid registration in the nursing council in the country and also have a license as a registered nurse / midwife. c.	Experience is also needed. A minimum of two years experience will help speed up the process of application. a. You do not have the required qualification? Answer: You will need to complete a coursework in the United States. This course work could include classroom learning as well as clinical work under the supervision of a registered nurse. This is also called as the Foreign Educated Nurses (FEN) refresher course, which could last up to 120 hours. b. Test of English as a Foreign Language (TOEFL) or the International English Language Testing System (IELTS) are the two common tests that are preferred. c.	Remember that the English test results have to be forwarded by the test authorities directly to the nursing board in the USA. 3. Pass the National Council Licensing Examination – Registered Nurse (NCLEX – RN). Passing the National Council Licensing Examination to work as a Registered Nurse is a very important requirement for nurses to be employed in the USA. Nurses from Philippines or India can take this exam in their own country. This has made the whole process easier and many more people are able to clear this exams. Previously India was not a center for the exams and nurses who wanted to clear this exam had to go to the USA. The step by step process of applying for the NCLEX and taking the exams are written elsewhere in this site. The next step is to ensure that you are recruited to a job in the USA. This is possible when you are directly recruited by an employer in the United States. The other possibility is by using the help of a recruiting agency that will sponsor your application for the visa or they will be able to find a job for you in the US. Remember that the recruiting agency will only find a job for you and you will have to prove yourself on the job to get permanent residentship. If you are not good in your job, you are likely to be on your own. Obtaining this is easy if you have an employer or a recruiting agency applying for it on your behalf. A visa screen certificate will also be sent to Commission on Graduates of Foreign Nursing Schools (CGFNS) by the authorities. These are all formalities after the difficult process that has been completed. a. This is the stage where you will have your file sent by the United States Citizenship and Immigration Service (USCIS) to the National Visa Center (NVC) for further processing. b. The embassy will issue a visa for you after you successfully clear the visa interview, which is likely to be the last hurdle before you start working in the USA as a nurse. c.	You will also be required to undergo a medical examination before you are issued the visa. d.	The issuing of the visa may take a few days to a few weeks, usually. In unusual situations, it may be delayed for a much longer period or it may be denied. Once you get a visa, you can also reserve your flight tickets. You can contact your employer to know the date when you have to join work. You may also have to complete the other formalities that your employer in the United States requires from you. It is important that every nurse who uses the help of an agent to go abroad tries to avoid unscrupulous ones. This will help you in avoiding losing money. Read more about how to avoid unscrupulous agents and choose the right nurse recruitment agency for going abroad. For more details on what role you can play in the nursing profession while working in USA, please subscribe to our newsletter or send an email requesting information. You can also learn about the H1B visa process for USA. The Executive Order by the White house, which is the order by the Trump administration talks of a different system to provide H1B visas to applicants. The current system of lottery will be abolished and a new system which will recruit only the most skilled person and a highly qualified person will replace the existing system. The Presidential executive order of the White house can he read here. Jincy,If you like to work in Middle Eastern countries, the Ministry of HEalth officials from Middle Eastern countries will visit India to recruit nurses. This happens frequently in Metro cities and Kerala. Jincy, Can you be more specific in what guidance you would need…If you like to work in Middle Eastern countries, please approach the team that visits India to recruit nurses. Follow the specified process to apply to US nursing jobs. I also have to take the the nclex exam or there are any other test for me. Hi Akshay…For you there is no test like NCLEX. You will have to apply with your transcript and consolidated mark list to any hospital directly..or you can apply to the Mid East countries which offer jobs easily with good pay package for operation theater technology professionals. Basically i want to work in countries like uk, usa, Canada, Australia. Which one test i should i have to give to work in these countries. And also describe me full process to work as an operation theatre assistant in these countries. Hi. Each country has its own entry criteria. The one test that you should absolutely get certified in is TOEFL or IELTS as it is a entry criteria. Once you qualify in this with a good score, you can get your credentials evaluated for equivalence to the education in the country you are planning to work in. Once you have these two documents, you can directly apply for jobs in any hospital through the internet and you will be recruited. There was a retrogation for Indian nursès I suppose.are they recruiting Indian nursès now.please clear my doubts. The recruitment process has its highs and lows. There are times when there is a increased need and at times there is less requirements. As far as US is concerned, there is no complete stopping of nurse recruitment. The process gets more fine tuned and stringent, but recruitment continues. Yes.Please send me your query…would be happy to reply. Thank you. Because of retrogression in 2006 my US visa processing is delayed. How will I know about my US visa status? You can use the CEAC barcode to check or even your case number can be used for checking the visa status. There is a “check My Visa Application Status” menu that can be used to check the status too. Hi David, I am presently working in Ireland as an RN… Any chance of proceeding to the US after completion of RN-NCLEX……I am born in India and presently hold an Irish Passport. Hi Reji, you can start the process of meeting a particular US state’s requirement by sitting for the NCLEX. Though you have an Irish passport, if your education was in India, you may have to sit for TOEFL. The next step would be to find an employer. If you find the right employer, they would be more than happy to file for an immigrant visa for you. How can Indian Nurse who are RN working in the US on OPT (F1 visa) can apply for green cards? Hi. You should first know that you can apply for a Green card, because many people think it is not the right process. The hurdle is to find an employer who is willing to sponsor you. The F1 Visa status and the OPT duration are not at all obstacles to the Green Card process. Your employer has to file the Labor application first and the date of application is important because those who apply earlier get a higher priority. Also, remember not to change employers once your employer applies for the Green card. If you change employers, your new employer has to stat the process again and you lose the priority status. If your employer is willing to sponsor you, the employer usually takes care of the whole process and you only have to supply the required documents. approval is in my hand,in few months i am going to give my exams and i have clear my ielts with 6.5 bands overall so i would be eligible to work in united states? Yes..if you have got approval from a state with the relevant papers and if you have obtained employment, you are eligible to work once you get the visa. Sir, this is Madhulika, I am Staff Nurse by profession in Operation Theater for last 8 years in Delhi, I want to work in U.S. Actually I am clear very about IELTS exam but I am very confuse about NCLEX exam. How to enroll for NCLEX exam, if you share the link.. and after passing the both exam, should I need to find a recruitment agency or I can apply to directly to hospital? Hi Madhulika, This is the link for the NCLEX website . You can apply there. After the required exams, you can try apply directly to a hospital, if you have any contacts and if there is a vacancy. If not, you can apply through a recruitment agency. Applying through the recruitment agency is likely to be more expensive and time consuming. Thanks for so many advices, I am clear about IELTS Exam, I am very very confuse about NCLEX-RN Exam, Can we write this exam in India? and if yes then where? The link which you shared, is this only way to apply for NCELX or there are agency whose taking care of this? Can you suggest me any agency? or anyone whose reading this message please share the process with detail of NCLEX-RN Exam with me by writing me mail on maddi2000lal@gmail.com. And One more thing somebody is telling me that GNM Diploma is not valid to work in US or Canada. Is there any other exam that we need to write other than IELTS and NCLEX-RN to work in US or Canada? Yes, you can write NCLEX in India. I will provide the lst of testing centers with contact details soon. The only way you can find if your course is valid in USA is by getting the evaluation done by CGFNS. It is good to get this evaluation even if you know you may not be eligible after GNM. This is because the report will tell you what the lacuna are. These can be addressed by completing bridge courses and then applying for re evaluation with the bridge course certificates. Hi Sir… This is Harjot.. I did GNM diploma in nursing from Fortis, India followed by Bachelors in Nursing from NZ… I’m a NZ cotizen.. Never worked in india but worked for 9 yrs in NZ AND AUSTRALIA as registered nurse and nurse manager… Currently have come to india to take NCLEX RN exam.. What will be the process in my case if i wanna work in USA??? Hi Harjot, You can finish the NCLEX. The CGFNS hurdle has to be completed to ensure that your education and credentials are evaluated. Once these processes are completed, you can apply directly to one of the hospitals, if you have contacts. If not, you can use a registered recruitment agency who will help you in the process. You need to decide which state board of nursing in US you would like to apply to for your credential verification. I am Rebecca completed post basic B.sc nsg working in hyderabad, with 6 yrs of experience.I would like to work in USA. When should I take IELTS and NCLEX test? How should I apply directly to the USA hospitals? Hi Rebecca. You will have to take both IELTS and NCLEX to work in the USA. It is not easy to apply to US hospitals directly, unless you know someone who may help you in this regard. Usually, it is though an agency that recruits nurses to USA. This is the best option as they will help you finish the process successfully. Iam Roys, a BSc nurse in india with 5 year experience. What about the processing time and coast if i approach a recruting agency as i dont have any contacts in USA. IELTS and NCLEX is clear. Any idea about registered recruiting agency in Kerala? Hi Roys, Would like to help you there, but as a policy we do not want to endorse a particular agency in a public forum. Please verify from your locality of successful placements in USA by recruiting agencies and then contact them.This should help you in successful placement. My wife completed bsc nursing @ 2006 . She has 2 years 2 month clinical experience, 10 months teaching experience and have the experience certificate( 2006-09) . She did Msc in paediatric nursing 1st year completed but she could not write her second year exams due to high risk delivery in 2011. 5 years she did not worked. Recently she worked in govt.hospital as contract staff nurse for 8 months. But do not have experience certificate. 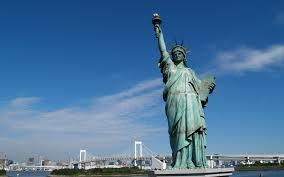 Currently She is with me in US in L2 dependent visa.She likes to work now in US. She is registered nurse and widwife in India. Please let us know the process to get job in US and start working. 1. If education and work experience is not on par with requirements after evaluation, bridge course can be completed in US itself. 2. Since she is in L2 visa, Employment Authorization Document(EAD) has to be filed with USCIS and it has to be approved before your wife can start working. Each state of US has its own eligibility rules. You should decide which state you are planning to go to and then check their eligibility. Usually, there will not be any problem especially if you have had work experience without a major break. How long an Indian nurse has to wait to obtain a work authorization. In straightforward cases with adequate documentation, the time is about 30 days. In some situations, it could be a maximum of 90 days. In case there needs to be some additional verification of certificates, there will be a request for the same and it could take longer. In normal situations, it would be 30 days only. I guess your experience is as per requirement of Texas Board of Nursing. If you have cleared the IELTS, CGFNS & NCLEX RN, then you can apply for jobs straight to any hospital that has vacancies. Or, through any of your contacts living in USA. Other option would be to apply for jobs through recruitment agencies. What to do for getting green card after successfull placement in usa? You need to ensure that you have a permanent license to work in the USA as you cannot apply for green card with a temporary work license. Sir, I am S kumar I did GNM and Post Basic Diploma in Cardio Thoracic Nursing, Am i eligible to write NCLEXRN? Is there any credentia for Post basic Speciality course in US? Is it valid in US? Each state has its own requirements. So, if you ask any query related to a specific state, it would be helpful. Yes, you can write NCLEX, once you have experience and also have the required credentials as assessed by the state nursing board. I doubt if the course as such would be valid in US, but the credentials of attending a specialty course will help you, if there are are any lacunae during credential evaluation. If we don’t clear NCLEX. No…without CGFNS or NCLEX, you cannot work in the USA. i have nclex rn and ielts overall 6.5 bands. i am looking for opportunity in usa. This is a wrong time to try and enter USA. Wait and watch the situation till it stabilizes. Soon opportunities will arise. All the Best. Hi…pls do not post your phone number on a public forum. What is your query? hello sir…I am Veerakumari from Hyderabad,studying Bsc nursing in Osmania.my question is am I eligible to get a direct registered nurse job after Bsc nd taking up NCLEX test?? No, you cannot get a job directly after the course and NCLEX. The credential evaluation process is mandatory. hi sir. i just finished my nursing in India. i am also a US resident. What should i do to work in US. You will be ready for work. Hi, Mr David, I have completed my BSc nursing from Mumbai & I am currently working as an RN in UK but I have also worked in India and Ireland and have an Irish citizenship, I have cleared my IELTS and NCLEX in 2012 and have also got licence from Vermont board of nursing but currently its inactive as I don’t have a social security number. Recently I have been offered a job in a hospital in Texas. My query is, being a Irish citizen but educated in Mumbai (India)…what is the procedure for my immigration to US and also endorsement of my licence from Vermont to Texas. -Do I need to pass IELTS again to qualify for NCLEX RN EXAM for US -Texas ? -do I need to pass CGFNS after nclex if I write nclex exam in Texas board to work there? Yes.You will need IELTS again for US-Texas, if the previous validity is finished. I am an Indian nurse, cleared NCLEX and have 7.5 bands in IELTS. Hi…In the current political scenario, it is not easy for any immigrants. Have to wait and watch. Soon the market for nurses will start picking up. I’m a graduate in Nursing (BSc) and have nearly 20 yrs of experience in different hospitals. I have received my CGFNS & NCLEX in 2016 before the retogression was in place. Pls let me know if the IELTS score obtained that period is still valid or not? Do you have to reappear for IELTS? Pls keep me posted your response through the given mails. Usually the IELTS scores are valid for a period of 2 years. So, the score is likely to be valid till 2018. Yes Rahul. What you said is correct. good day! just want ask some details about the process of direct hiring? like for example if the agency or the employer already sent your documents to the attorney, what will be the next step? Hello sir I m an Indian nurse. I have done gnm three years diploma. I have an experience more than 8years in different department in govt hospital DELHI. Please let me know I m eligible for us or not. I scored overall 6in ielts. Yes. Every candidate has to go through NCLEX before being licenced to practice as a nurse. Even if you complete your course in US colleges, you will have to go through the NCLEX. I heard nurses to work in the USA stopped. I am a Diploma nurse. I want to do my BSC in Ireland. What shall I do for that? Ireland is still the only country that is taking in Indian nurses and other nurses through free recruitment. If you are a Diploma nurse, you can apply through registered agencies and enter Ireland for employment. It is easier and less expensive than doing a BSc nursing in Ireland. If you still like to study in Ireland, you have to approach any university there and apply to them for admission with your credentials. They will tell you the process since each University can have different criteria. IELTS of 6.5 or TOEFL of at least 550 is mandatory. Iam RN with diploma and doing my post bsc last year I want to do job in abroad what should I do? Step 1: Decide on the country you want to work in. Each country has different entry requirements. Step 2: Based on the country you selected, check if your educational qualification is comparable by doing a credential evaluation. Step 3: If credentials are OK, then check if you need to register in the country’s nurse registry (All Western countries have such requirements. Also, you may need to pass an exam in nursing and / or a exam in English). Step 4: If all the above are done, you can apply directly to a hospital or work to get jobs through consultancies. Thank you for your comment. It would be inappropriate for us to recommend any particular agency or consultancy. The best you can do would be to visit the Government External affairs ministry website to find a registered agency. This will be the safest way. Can you please provide some consulting name where they will guide to get the job in USA. I have MSc Nursing and having 5 years of Exp. Request you to please suggest the latest procedure to apply for job in USA . I will be travelling as H1 Dependent. Can i seek for job after landing in USA or i need to give exam from here…apply for visa and then travel . Please guide. hi sir im a gnm nurse am i eligible to work in US?how much ielts score needed? I had passed my NECLEX-RN exam for the year 2006 & also submitted Visa screen USA agency through. Unfortunettly agency was shoudon & no any communication with us & also they have not gave any RN copy . kindly advice me what to do get Jon in USA. If you have no documents approved, then I am sorry to say that you have to use another , more reputed agency to continue the process. Hai sir,how much time it will take to bring my family after I join in US …I m a BSc Nurse…please clarify my doubts..
Hi, Sorry to say that this question does not have a straightforward answer. If you just want to take them, you can apply for visa and simply take them. If you want them to live there, it is a long process. Which state boards would you recommend for Indian nurses based on the easiest route for license. I believe some states require Social Security Number. Are there states where this is not needed? If you want to work in Canada, other than the NCLEX exam, you have to clear the state board exams including practical exams. This will vary according to the state you want to work in. so, you have to firs decide on the state you would like to work in Canada and then start looking at their requirements. Hi sir my 2nd question is any ielts or tofel requerment for nclex exam ? If you have completed your education outside USA, you will need to complete TOEFL/ IELTS. Me and my wife is in US I am on H1B and she is on H4. she recently passed the RN exam for NewYork Board. And this is what I know so far. Nurses employer based petitions are filed under Eb3 category which has 10+ year wait time for Indians.Since regular RN doesnt has any work Visa category we need to wait till get the green card to start working. But RN from other counties they dont have any vis back log or waiting tim so they will get the green carn with in 16-24 months once the employer start the green card processing. But for Indians its 10 years because of this long wait time no agency or hospital will sponsor you green card because why they want to sponser if you can join only after 10 year. You hit it on the nail. Unfortunately what you have said is true and nurses employer based petitions which are filed under Eb3 category has a long wait time for Indians. So hospitals may not sponsor you. You can try some local recruiters, especially if you know some nurses there who have used nurse recruiting agencies. It is a long shot, but may be helpful. The other option is to study a short nursing course there, but it will be quite expensive. My wife passed RN exam on Oct 24 2017. She is in US on h4 Visa. What is the next step to get a green card for her. And appropriately how long will take the entire process. Green card can be obtained with employer based petitions under the EB-3 category. It is a long process, especially for Indian nurses and it can take anywhere from years to 10 years. Passing the RN exam is one part of the process, but to get a hospital to petition you for green card is another story altogether. You can try completing a short course there, which again will be expensive. i m feeling like nowhere, i need ur precious advice. i got a gnm diploma & experience as a staff nurse from 2008 to 2012 in fortis hospital. from 2012 to till now, i don’t have any sort of experience. my age is 35. my ielts score is overall 6. is there any possibility to migrate to any country with my husband & a child? i m ready to persue my b.sc. nursing abroad if that would be a option, can my faimly go along with me? ur help will be really appreciated. If you have the finances to study abroad, my advice to you would be to start immigration process to Canada, to a state that is across the border from USA. Once there, you can drive across the border to study in USA. The reason is immigration to Canada for qualified professionals is easy, but immigration to USA is difficult. Once you are in Canada, it will be much more difficult to get a job in Canada or to pass the exams, but it might be easier in USA. If not, try to work in some Gulf country after you gain some more experience in some local hospital before trying this. My name is Berishiba shiv. I have done my GNM Nursing in India Also I’m working with a multinational company from Atlanta Georgia. I want to do more qualification in Canada like Bsc, Msc can you please provide me more details about this but can Canada university ill accept my GNM nursing certificate for further education. Hi, I have received NCLEX RN from NYSED last month,but still I reside at India. Now I want to move to Canada. What are the steps for the processing??? Please go through the article on the process of working in Canada. If you still have doubts, please do let us know. Please follow the step by step process listed here. Contact if you have any specific doubts. I will be completing my 4 year bsc nursing from india in 2018 . My husband has a green card and so I would get that too in some time when I arrive at USA. Is it mandatory to have some work experience in India before I give My NCLEX exam at USA. Also does Indian nursing education equivalent to usa nursing or do I have to study in usa also before or after NCLEX ? Please guide me on how to proceed ? Also how can I reach you ? Indian Education is comparable to US education, but a credential evaluation is essential to get this certified. At times, based on differences in some University curriculum, there could be some lacunae that can be rectified by undergoing short courses in the USA.Experience in India may help but is not mandatory. You can start the process by credential evaluation, then apply for NCLEX. If you get a green card, the process is easy as you become citizen of USA. If your husband is on H1B visa now, it is better for you to apply after he gets the green card. The reason is because of the changes to the H1B visa holders’ spouse employment status being effected by the Trump administration. am from India I am a BSC nurse and I am having 2 years of experience, interested to work in America (USA) kindly advise how to apply and what is the process. First, get a credential evaluation done as it is essential to get your education certified. You can get this done through CGFNS. Also apply for NCLEX. On completion, you can use these two to apply to any hospital in USA. If you apply through registered agents, then it may save you a lot of trouble. Good morning sir, please I studied and graduated in India but as a foreigner I wasn’t licensed. I currently joined my husband in the US and I want to upgrade and work in the US. What am I supposed to do? You should first obtain a credential evaluation report. This is essential to get your education certified. This can be done by CGFNS. Next, apply for NCLEX. When completed, you can use both of these to apply for work. Can I apply for CGFNS without a license?. India does not give license to foreigners. Are you a citizen of India? If so, you can get the registration done from the Indian nursing council. IF you are a Non resident Indian, you can still get the registration done in India or you can directly apply for credential evaluation in the state in US where you would like to practice. They may require you to have registration from India at a later stage of the application process. Myself working as a registred Nurse with Dubai Health Care License in Dubai. I would like to Get an oppertunity in USA. How to proceed and from where to start?? Now iam planning to Write IELTS exam …. What band i need to get to procced in USA?